We are in Sydney jan 17-24, cairns Jan 25- feb 1 then we have a house in Ubud for three weeks . Then we are looking where to spend our time until march 2. The weather forecast for Ubud in feb is making me nervous so I'm thinking we only spend two weeks there and then head south east of Australia. NZ. :). I'd like to spend some time in the cook islands during that time. So if we have from feb 16-march 2 to see cooks and north and south islands NZ how should we split our time? Thanks and would you prefer to blog this? You have about 14 days in New Zealand, I would like to suggest you to travel in South Island instead of traveling around the both islands as there is no sufficient time to explore the whole. In addition, South Island is preferable than North Island. 14 days is well enough to explore only South, while 7-9 days for North. If you don't mind, please refer to the above 16 days plan, you may skip the day 11 and 15. Your itinerary seems quite rush. Are you youngsters? My itinerary actually quite closed to yours, I feel that mine is quite rush and no time to enjoy the trip there. Day 3: There is no time for you to visit Hokitika and Greymouth. The Arthur Pass is very beautiful, you may spend there a long time for taking photo. You need to plus and minus spending time on meal, toilet, rest, photography. Normally, we will estimate about 7 hours to reach FJ from CHC. If you want to visit both Greymouth and Hokitika, you may only can reach FJ at night time, most likely 9pm....some more, daytime is short in Oct. Drive slowly and carefully especially in night. Day 8: Also 7 hours driving. 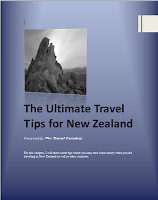 My advise is, maybe you can give up Kaikoura, greymouth and hokitika. So you can more time to arrange.